The Continental Divide Trail (CDT)) is a United States National Scenic Trail running 3,100 miles between Mexico and Canada. It follows the Continental Divide of the Americas along the Rocky Mountains and traverses five U.S. states — Montana, Idaho, Wyoming, Colorado, and New Mexico. In Montana it crosses Triple Divide Peak which separates the Hudson Bay, Atlantic Ocean and Pacific Ocean drainages. The trail is a combination of dedicated trails and small roads and considered 70% complete. Portions designated as uncompleted must be traveled by roadwalking on dirt or paved roads. Approximately 150 people a year attempt to hike the entire trail, taking about five-six months to complete it. Dave Odell thru-hiked in 1978 and in the same year Dan Torpey hiked from the NM/CO border to Mt Robson, Canada. German long-distance rider Günter Wamser (on his way from Tierra del Fuego to Alaska), and Austrian Sonja Endlweber (who joined him for the rest of the journey from Mexico) managed to complete the tour with four Bureau of Land Management mustangs in three summers 2007–09. In 2007, Francis Tapon became the first person to do a round backpacking trip “Yo-Yo” on the Continental Divide Trail when he thru-hiked from Mexico to Canada and back to Mexico along the CDT and needed 7 months to finish it. This seven-month journey spanned over 5,600 miles. Tapon took the most circuitous, scenic, high, difficult route north and while returning south, took the more expedient route. Andrew Skurka completed the trail as part of the 6,875-mile Great Western Loop in 2007. The youngest person to hike the trail is Reed Gjonnes, who hiked the trail with her father Eric Gjonnes from April 15 to September 6, 2013 at the age of 13. 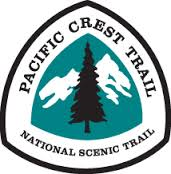 The Pacific Crest Trail (PCT) is a long-distance hiking and equestrian trail closely aligned with the highest portion of the Sierra Nevada and Cascade mountain ranges, which lie 100 to 150 miles east of the U.S. Pacific coast. The trail’s southern terminus is on the U.S. border with Mexico, and its northern terminus on the U.S./Canada Border on the edge of Manning Park in British Columbia, Canada; its corridor through the U.S. is in the states of California, Oregon, and Washington. The Pacific Crest Trail is 2,668 miles long and ranges in elevation from just above sea level at the Oregon-Washington border to 13,200 feet at Forester Pass in the Sierra Nevada. The route passes through 25 national forests and 7 national parks. Its midpoint is in Chester, California (near Mt. Lassen), where the Sierra and Cascade mountain ranges meet. The Benton MacKaye Trail or BMT is a footpath nearly 300 miles in length in the Appalachian Mountains in the southeastern United States and is blazed by a white diamond, 5″ across by 7″ tall. The hiking trail was created and is maintained by the Benton MacKaye Trail Association and is named for Benton MacKaye, the Massachusetts forester and regional planner who first had the idea for the Appalachian Trail in 1921. The Appalachian Trail or AT is the longest continuously marked footpath in the world, measuring roughly 2,184 miles in length. The Trail goes through fourteen states along the crests and valleys of the Appalachian mountain range from the southern terminus at Springer Mountain, Georgia, to the Trail’s northern terminus at Katahdin, Maine. Known as the “A.T.,” it has been estimated that 2-3 million people visit the Trail every year and about 1,800–2,000 people attempt to “thru-hike” the Trail. People from across the globe are drawn to the A.T. for a variety of reasons: to reconnect with nature, to escape the stress of city life, to meet new people or deepen old friendships, or to experience a simpler life. The A.T. was completed in 1937 and is a unit of the National Park System. The A.T. is managed under a unique partnership between the public and private sectors that includes, among others, the National Park Service (NPS), the USDA Forest Service (USFS), an array of state agencies, the Appalachian Trail Conservancy, and 31 local Trail-maintaining clubs. The Trail is roughly 2,184 miles long, passing through 14 states. More than 6,000 volunteers contribute about 200,000 hours to the Appalachian Trail every year. Crosses six other units of national park systems. Maryland and West Virginia are the easiest states to hike; New Hampshire and Maine are the hardest. Lowest elevation: 124 feet – near the Trailside Museum and Zoo at Bear Mountain, New York. Approximately 165,000 white paint blazes mark the trail’s route. It takes approximately 5 million footsteps to walk the entire length of the trail. The A.T. is home to an impressive diversity of plants and animals. Some animals you may see include black bears, moose, porcupines, snakes, woodpeckers, and salamanders. Some plants you may encounter include jack-in-the-pulpit, skunk cabbage, and flame azalea. The A.T. has hundreds of access points and is within a few hours drive of millions of Americans, making it a popular destination for day-hikers. “Thru-hikers” walk the entire Trail in a continuous journey. “Section-hikers” piece the entire Trail together over years. “Flip-floppers” thru-hike the entire Trail in discontinuous sections to avoid crowds, extremes in weather, or start on easier terrain. Most thru-hikers walk north, starting in Georgia in spring and finishing in Maine in fall, taking an average of 6 months. Foods high in calories and low in water weight, such as Snickers bars and Ramen Noodles, are popular with backpackers, who can burn up to 6,000 calories a day. Hikers usually adopt “trail names” while hiking the Trail. They are often descriptive or humorous. Examples are “Eternal Optimist,” “Thunder Chicken,” and “Crumb-snatcher”. GREEN TUNNEL – Hike the entire Appalachian Trail in under 5 minutes. Paddling, Paddling and More Paddling!